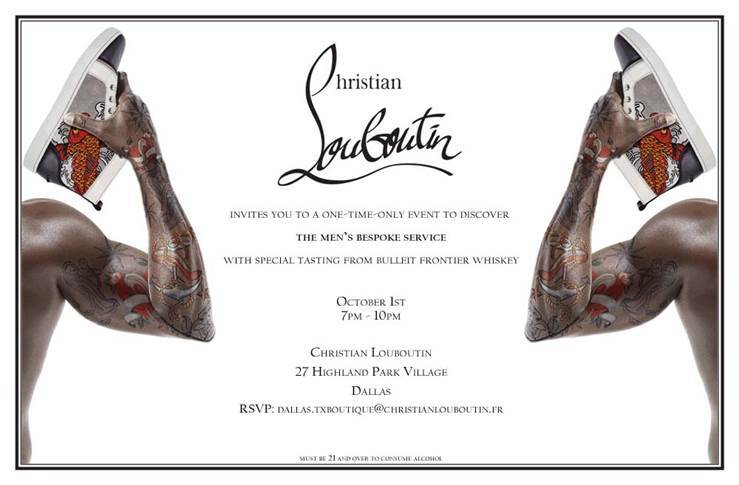 Join our Christian Louboutin boutique next week on Wednesday, October 1st from 7-10 p.m. to celebrate our menswear event. This one-time-only event will allow guests to discover The Men’s Bespoke Service with a special tasting from Bulleit Frontier Whiskey. Experience made to order shoes from Christian Louboutin for men and women.